Most of us want to run away from the past. But, what if God just wanted to embrace your past with you? In his arms, our past becomes a place of healing. We can be free to find what can comfort us and also move AWAY from whatever isn’t healing to our souls. We are no longer trying to please others or fear what others can say about us. We are beloved. I used to think having faith meant putting the past behind me. But, now, I understand when Paul was asking us to forget the past, Paul was referring to his past as a Pharisee, to stop self-sufficiency and emphasizing how things appeared! God uniquely loves us and we can love others and share our stories! Today’s devotional is one of my favorites about healing our past. It’s so beautiful to see how Jesus makes a way for us! 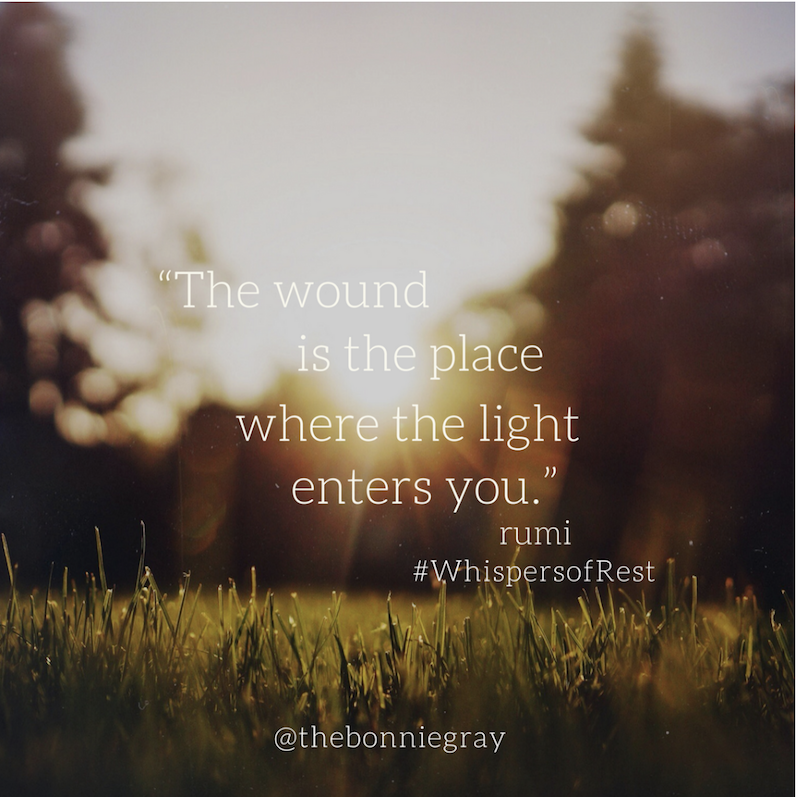 If you’re following along with me reading the book Whispers of Rest, we just finished Week #4: Healing the Beloved. This week, read Week 5: Daring as the Beloved. 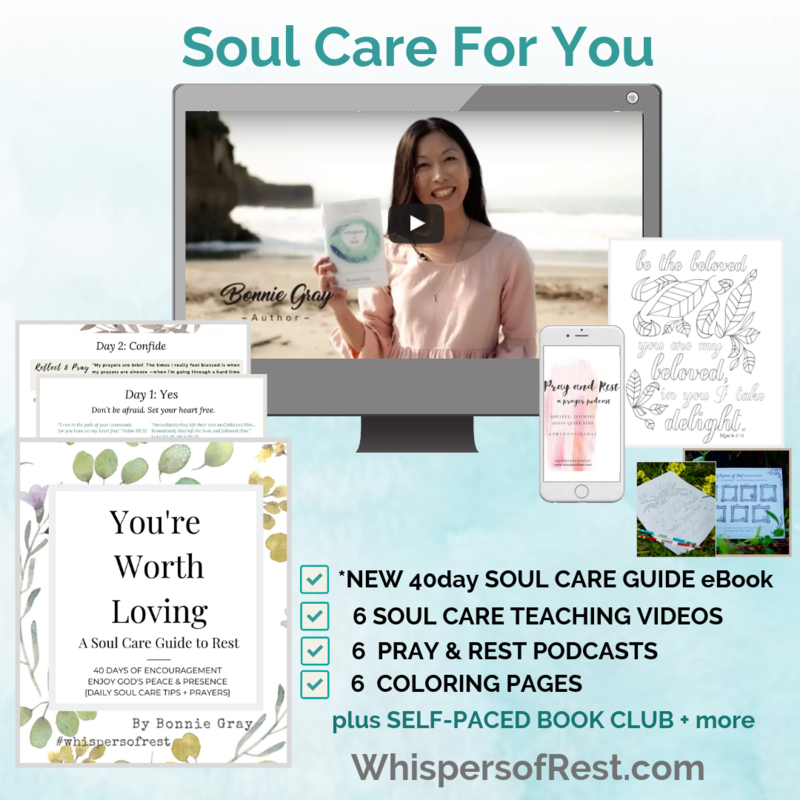 And if you ordered the extra resources in my Soul Care Package, be sure to enjoy to this week’s new Podcast & Teaching Video #5: Daring as the Beloved, with beautiful music and scripture reflection. 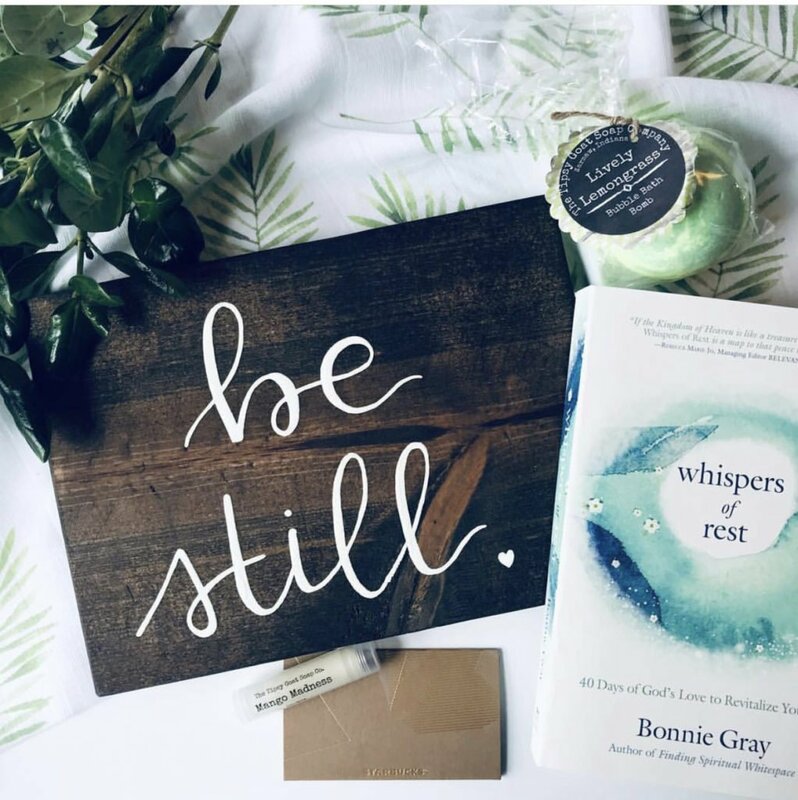 Click here follow me on Facebook @thebonniegray right now! Lean into Me. I will make a way for you. “See, I am doing something new. Now it springs forth. Will you not be aware of it? Something happens when you find yourself lying on your bed unable to fall asleep. Not just for one or two nights. Sometimes, life enters seasons of uncertainty and trials that keep you up and your heart restless. Life may not unfold the way you thought it would. You try hard to remember who you once were, searching your heart for glimmers of what it was that made you once feel alive. Young, innocent, refreshed. Jesus understands and sees that longing in us. To find a way. To feel safe and held again. Making a way. For you. With you. And you begin to cry. Because you miss the nearness of God’s tender touch. 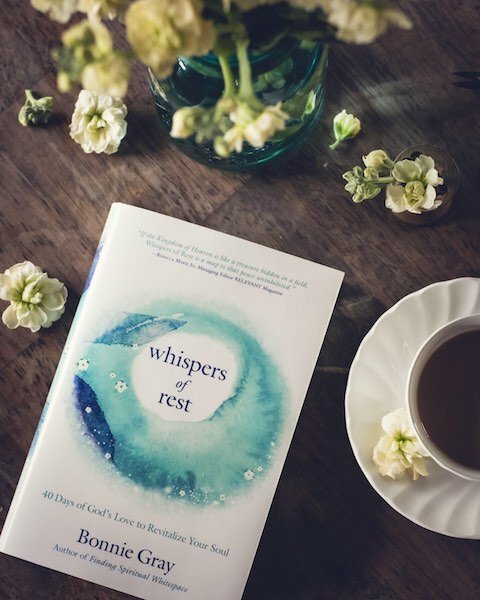 I found myself in too many restless, sleepless moments, for a long season during my journey to find rest in Spiritual Whitespace. But, as I laid there, I found in that pit of darkness something beautiful and true. I found I could remember goodness. And it told me that it was in me once. It told me that it had to still be in me now. Even though I felt wounded. I chose in that moment to believe that goodness was my faith, still breathing in me. The fact that I longed for goodness and hungered for it told me that nothing — not even my woundedness — could destroy and rob me of those memories. That Goodness had a name. It was God’s Spirit, alive in me. And that remembrance and longing for it was the movement of God’s fingers soothing my heart. They were hands of Someone who understood how being wounded led Him to remember all that captured His heart. One dark day. The darkest moments Jesus found Himself — as I think about Him this week — are found in three words — spoken after Pilate washed his hands, released Barabbas, and had Jesus flogged with a ‘cat of nine tails’. Jesus somehow although crippled by such physical torture survived — and had to endure even a deeper wounding. I was drawn to this moment made up of three words found at the close of this scene. …Then he released Barabbas to them. I can hear Jesus crying, not out of fear, but out of physical — and emotional pain. He was abandoned. Completely given up by everyone. Life for Jesus would never be without the scars of betrayal. His story could never be untainted by betrayal, loneliness and rejection. But, Jesus choose it all because behind the brokenness, Jesus carried the memory of why He was willing to live this story that was unravelling in a very bad way. of how He made you and me in the secret place. The warmth of our first breath caressing his heart. He carried the sunshine of our smiles. Jesus endured all the woundedness and devastation his body and his soul could carry. Because in His woundedness, Jesus remembered you and me. There is no place we can find ourselves, where Jesus will not go. Jesus gives us a home — with him. In us. His love makes a way. God can make a way. For you. There is no place you’ll find yourself, where I will not go with you. When you wonder what lies ahead, you can rest. Even in your wounded-ness, I will never leave you. I am doing something new. I am here. With you. Even in our woundedness, Jesus still loves you. And me. When I realized life was never going to be the same for me again, I stopped wishing to be rescued. I began to desperately pray for courage instead. To lean in. To move towards the longing I still carried of beauty. Of goodness. That desire became my silent prayer to God. No matter how whisper-thin, imperfect or insignificant our movements forward might be, God will make away for us. Today. No further than just the one step He’s calling you to take. Today. Imagine Jesus at the moment He stood there, waiting for the people to choose him or Barabbus. When He was — handed over. Now think on a moment on your journey: Is there a situation you’re facing where you’re feeling handed over to face too? Now imagine Jesus standing there with you, as you face it all – with His hand in yours. Imagine Him looking into your eyes with understanding- of what it feels like to be handed over. As you move forward with just one step today, we surrender ourselves to the One who has been handed over — until His last breath made a way — to you and me. You and I don’t ever have to be handed over and lost in the brokenness of life. Jesus puts his hand in ours, to draw us towards Him. So He can carry us. All the way. God can make a way to us. With us. No matter where the journey of life takes us, we become the living stories of what it means to be cherished and beloved by Jesus. Don’t let anyone or the hardness of the journey convince you otherwise. Life will never be the same. Let’s follow this journey through. Lean in. Be you. Be the Beloved. Give me courage to lean in. To take just the one step you’re inviting me to take. Today. 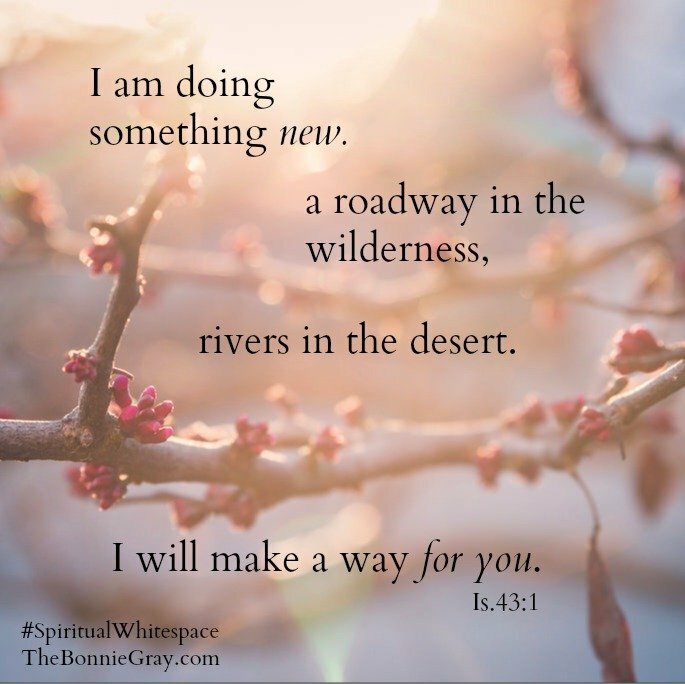 To trust you’ll make a roadway in the wilderness. Even rivers in the desert. Even though I can’t see how or when, I surrender myself to your love. In this very moment. Today. Take a moment to be present in this moment. What is one word that speaks to you, as you step into Jesus memory of being handed over and today’s verse? What is one thing God is inviting you to step into today with Him? What one word in today’s scripture speaks to you? Pull up a chair. Click to comment on the blog. 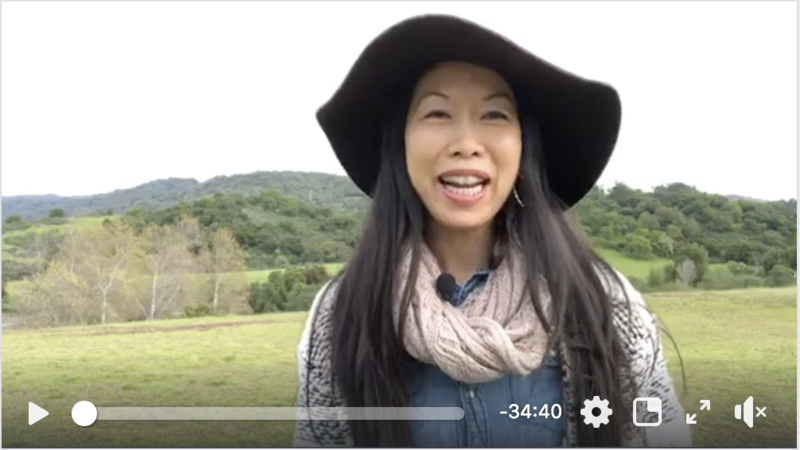 Or go here to our FB Group to share your Ah-Ha Moment. 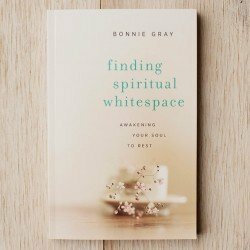 For more encouragement, get my memoir driven book,Finding Spiritual Whitespace: Awakening Your Soul to Rest. Take a 30-minute nap. Rejuvenate your body and soul with rest. As you do, you’re putting God’s love for you into action, coming alive in a new way of living. Reviewing the day with Jesus brings rest, preparing us for sleep. But during our Gethsemane moments, sleep can be troubled. We need seven to nine hours of sleep a night. Research shows lack of sleep affects our mood, height- ening irritability, anxiety, and depression. Taking a nap makes a difference. Research also shows a thirty-minute nap reduces stress and boosts the immune system, reversing the effects of occa- sional sleep deprivation. Participants restricted to sleep- ing only two hours showed elevated stress hormones and a decrease in immunity proteins. But after a nap, all markers returned to normal. A nap improves mood and boosts memory, performance, and attention. So on demanding days, take a nap. Rejuvenate yourself with the healing benefits of rest. grieving, but also standing firm proudly. because it proves you love my friend. and crown her with beauty. My friend is your beloved. but also firmly place your healing hands to care for her. Free her heart to see the new path you’re making for her. Roadway in the wilderness and streams in the desert. so she knows you are making a way with her. In her and for her! I thank you for how much you love my friend. She is yours! And you are hers! “When I realized life was never going to be the same for me again, I stopped wishing to be rescued.” WOWZER! When I read your declaration it was a lightbulb moment for me. I’m not even sure I was aware of ‘wishing to be rescued’ but upon reflection, I realize it is true. Very recently, a very painful memory was brought sharply to the forefront and caused an unexpected backlash. Since then, I have been a mess. Even as I read today’s devotional, the emotional pain nearly swallowed me up. Then…HE took my hand! I thought I was done with this old memory and the excruciating physical and emotional pain it wrought. I want to be done with it. I’ve done the work. I’ve prayed and forgiven, but the person who hurt me has never acknowledged what they did, let alone apologize. Today, I think I’ve been waiting for that for over 45 years!! As I reflect on today’s message, it feels fresh. Jesus knows the pain I endured…He was there with me. He is here now.